This is a Free Xbox One Controller Mockup PSD. This is a unique Xbox One Controller mockup specially for showcasing your graphics and game specific design on a Xbox Gaming Controller. This Free PSD Mockup has Xbox One Game Controller is perfect if you want to see how your custom xbox controller design will look in real. 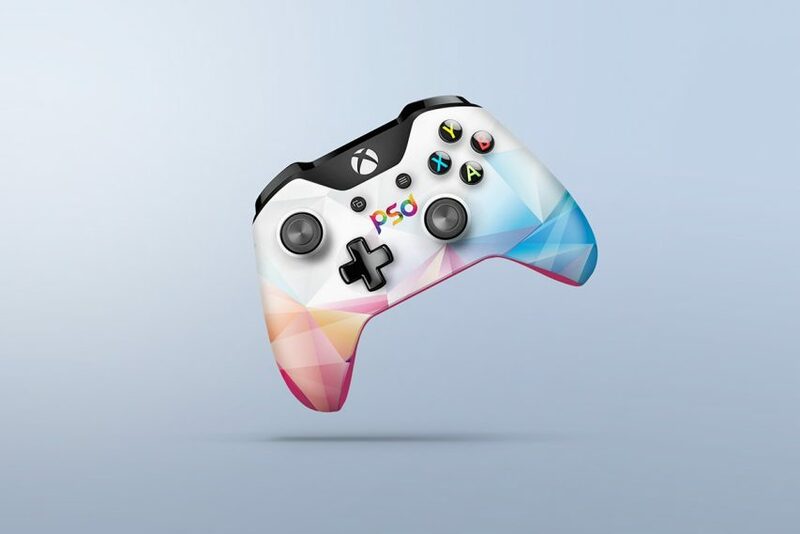 A Free Xbox One Controller mockup PSD is great for graphic designers who wants to showcase their design and custom branding in a different and unique way. In order to add your own gaming controller design, just replace the smart object with your custom graphics. All in all this Xbox One Controller Mockup PSD has a modern and elegant look. This Free PSD resource comes with Easy & customizable PSD file arranged in groups and named perfectly which can save the time to create your own mockup. You can modify this Xbox One Controller Mockup as you wish. However you are free to use this Free PSD in your personal and commercial projects. If you are using this file please give some credits to psd.graphics Hope you like it. Enjoy!